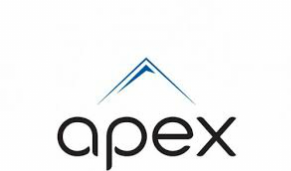 At Apex Legal Services, we will walk you through the entire process. Everybody needs a will (aka, last will and testament), but where do you start? You could do it yourself. We wouldn't advise you to do that. We also would not advise you to use a one size fits all form document. A Will should be unique. Will: A Will is a document that lets you plan what you want done with your estate after you die. It can include people and it can exclude (disinherit) people. It's your way of having the final say after your life ends. Otherwise you will leave decisions up to the intestacy laws (court) of the District of Columbia. We advise you to go to a professional lawyer who can draft your Will. It can be a lengthy process as the lawyer will need your participation to give him/her your directives. However, many lawyers will draft your Will for a flat fee. This is what we do. It doesn't matter if its 2 pages or 20 pages. The price will be the same. Personal Representative: If there is no Will, we will assist you with filing paperwork to become the Personal Representative of the estate. We represent the Personal Representative in the administration process. Once you are appointed Personal representative, we assist with all phases of administering the Will, and all challenges to the validity of the Will. If you need to hire other professionals (tax professionals, appraisers, etc.) to assist in the probate process, we can act as a resource to advise you on such matters. Claimant/Creditors: You may have a claim that you want to file against an estate. We will help you file your claim and work to protect your interest in the estate. Durable Power of Attorney: A Power of Attorney (POA) is a document that gives another person or entity the power to make legal decisions (personal and financial) for a person. The powers can be very broad or very narrow. ​If the POA is durable, it survives mental incapacity. The POA document can eliminate the need for a Guardian or Conservator. A Guardian is a court appointed person who acts to make decisions about the personal care for a mentally incapacitated person. A Conservator is a court appointed person who is a fiduciary that handles a person's money and financial matters. A Guardian or Conservator can only be appointed if a person's mental capacity is successfully challenged in court. Living Will: Some of the most important decisions of our lives often come when we are least able to communicate, such as the decision to either continue with life support or allow the natural process of dying after a life threatening injury or illness. Thankfully, we can state our health care and end-of-life choices in writing -- while we are lucid and in a good frame of mind -- in a living will (also called a "health care directive"). It's technically not a will, but rather a legally binding document to which caregivers and health care agents may refer if the patient is unable to provide consent. Durable Power of Attorney for Health Care: An advance directive that appoints someone to make health care decisions for a person if he/she cannot make or communicate his/her own decisions. ... The person appointed must follow your wishes if they are known. If you need to go to court to challenge the validity of a Will or Trust, we are prepared to act in your best interest to accomplish your goals. Will Contest: We will challenge the validity of a Will or we will argue that the Will is in fact valid. Trust: We will challenge the validity of a Trust or its terms or we will argue that the Trust and its term(s) are in fact valid. We do not handle estate matters on a contingency basis.